Twelve months into to Haiti, Meredith began a malnutrition clinic. When she shared her dream with me, I told her I would support her and walk this step of faith with her. On our first furlough, she came back with $200 for the clinic. 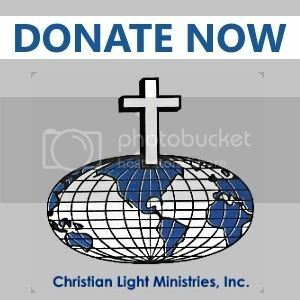 After returning to Haiti that fall, another missionary supported her dream with $500 and told her to watch God multiply it. And multiply, He did. When we went to purchase our first ready to use therapeutic food (RUTF), we had enough to buy 10 cases. Each case treats about 1 child. When we arrived, they were having a buy one get one free sale and we walked out of the compound with 20 cases! I remember Meredith asking me what would she do when the 20 cases were gone and I told her that if this is what God has called her to and if He wanted her to continue doing it that He would provide. There have been weeks where we have given out our last formula or RUTF and before the next week God has ALWAYS provided. Last Christmas, a private school of about 200 students raised almost $11,000 for the malnutrition clinic. And so this ministry continues because of a girl’s willingness to step out in faith and God’s faithfulness. Meredith and Makayla will be leaving Haiti the end of this year to attend college; we know this is a ministry that God wants us to continue. He has been faithful in providing in many ways; however, I feel more medical knowledge for myself would be helpful. So in October, I plan to attend an Equipped class in Marion, NC for missionaries who live in remote places. This is a two week intensive medical class that deals with specific issues pertaining to the area that we are in. We’re praying for another medical personnel that may want to join us in our work with the clinic; however, for now my next step is with this class. A gentlemen with our sending agency took it upon himself to raise the $1100 for the class, so in October, I’ll head for the states.